I’m late in writing about this since around three months ago, life suddenly moved into Serious Hectic Mode and a lot has been sacrificed to accomplish the many things we’ve needed to get done - the gym is a stranger, my bed has been at times too, and also the telly and my blogs! We’re not out of the woods yet, since we can’t seem to stop lining up projects before the old ones are finished, but those times are worth it when you reflect on the outcomes. 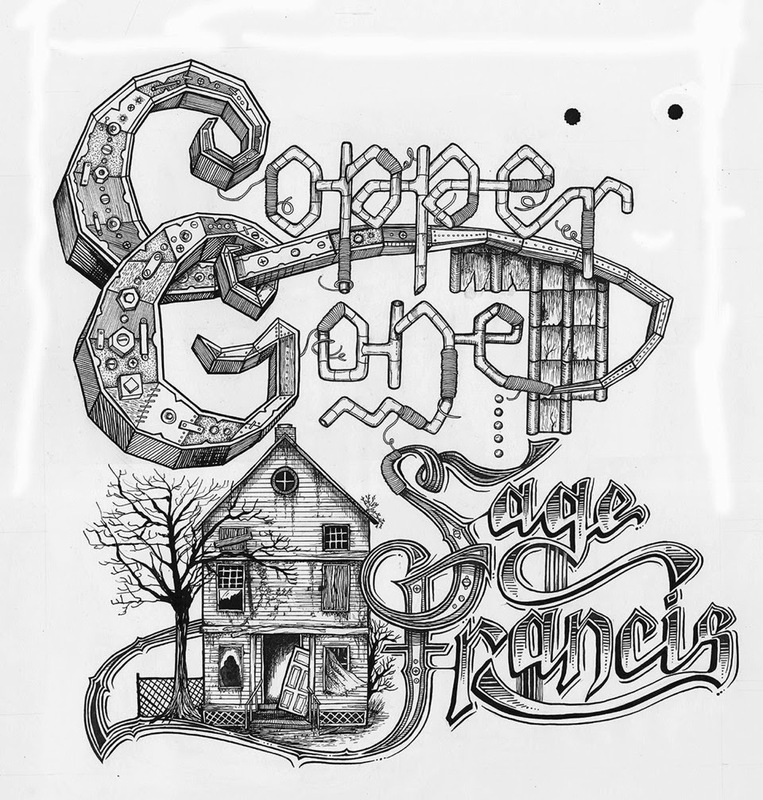 And one of the best things to have happened was making this artwork for Sage Francis’ upcoming album, Copper Gone. Having done the illustrations for Human The Death Dance, it was of course an immediate yes. Long time friend, muse and collaborator Sage had been drip-feeding us tracks from the album as they were made, so we already had the flavour of it when he asked if I’d be able to create something for the album. 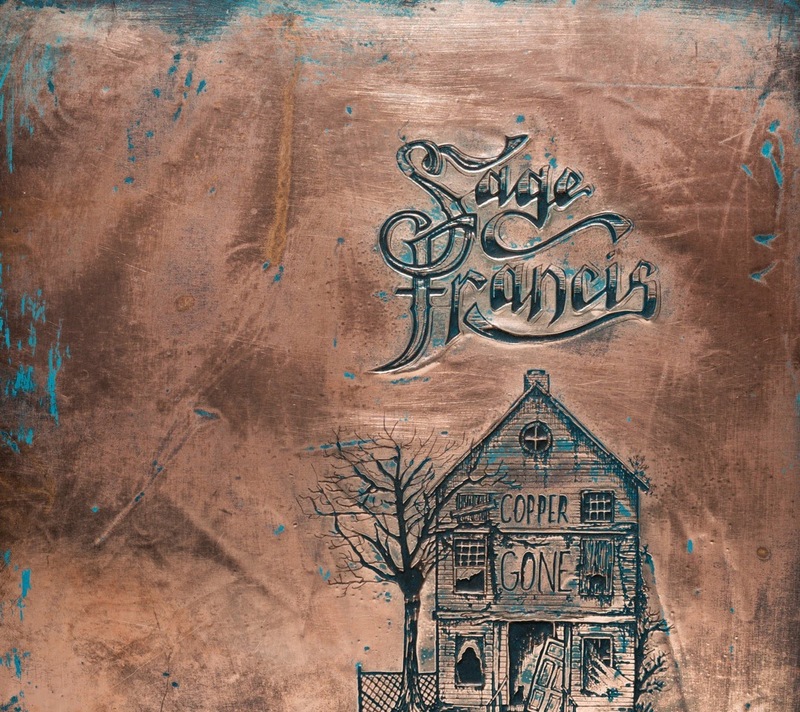 The album is named for a piece of text scribbled on the side of a house in Sage’s home town, which he’d watched deteriorate, empty and neglected, for years. Wood, metal and other potentially valuable assets were stripped from the house, till one day the words appeared on the side - as if the house itself was saying, ‘I’ve given you everything I’ve got - you’ve taken it all; I got nothin’ left.’ Which, as the story goes, was exactly how Sage was feeling as he neared the end of the album-making process. Like a good butcher, Sage knows how to take artwork and make good and honourable use of every single cut of it - no waste. 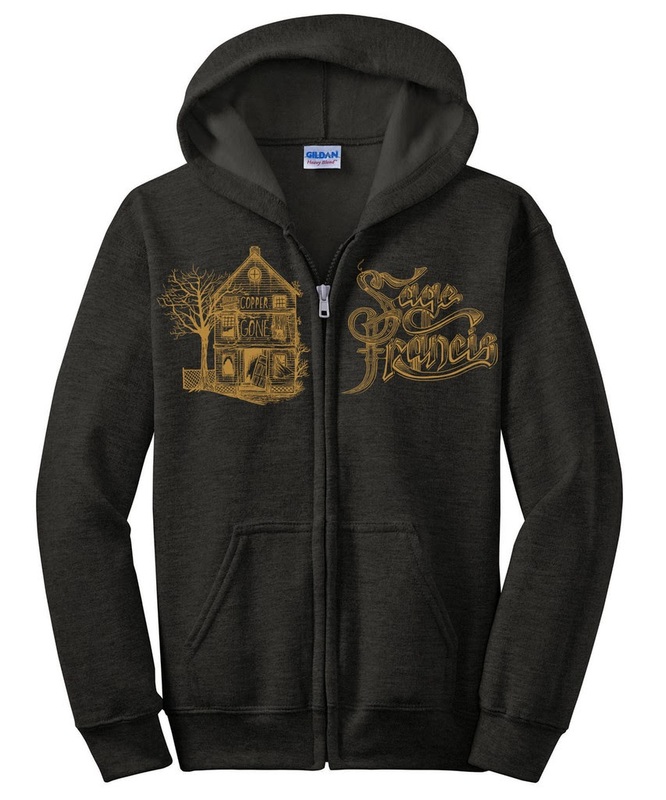 Thus, the logo, house and title were separated and became motifs for hoodies and Ts as well as album and CD art. 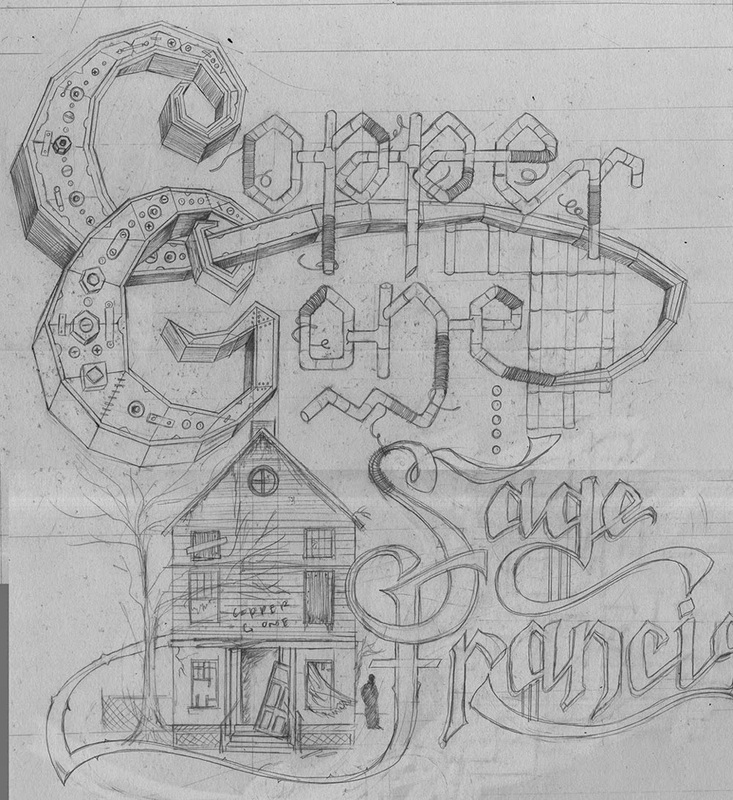 In the next blog I’ll go through the process we used to etch the illustration into actual copper (a first for me). As a conclusion though, here’s how the album looks, with its copper and verdigris coloured vinyl, along with its merchandise. 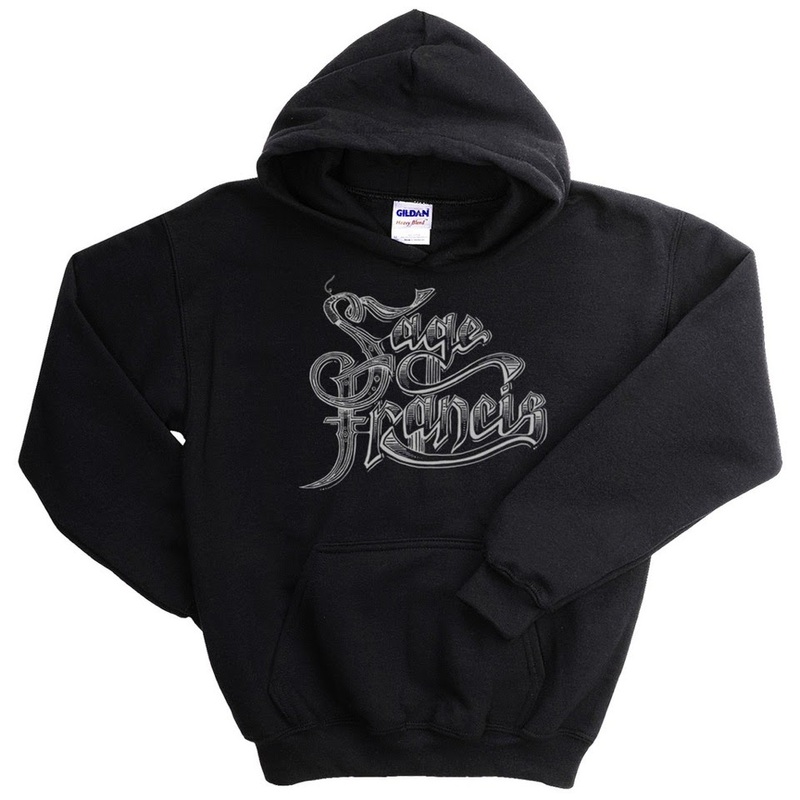 Sage tours the album from May to November in a gruelling tour, with a heavy UK and European schedule. You can listen to a couple of the tracks on this page too. The album drops June 3rd, and I promise you, this one is honestly set to make craters. 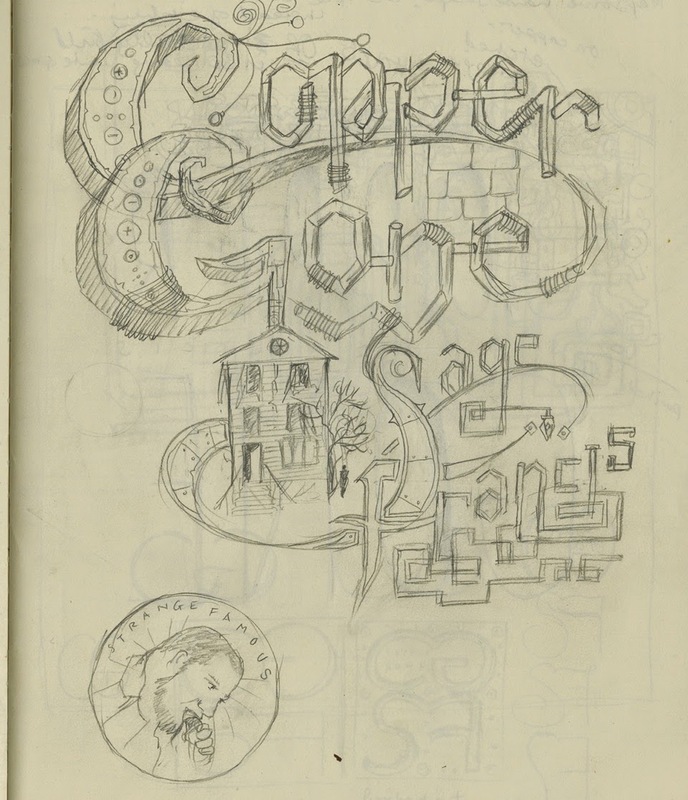 Early reviewers are already talking of this as ‘the new Personal Journals’, which if you know Sage’s work, is quite a proclamation. His Magnus Opus? Perhaps. 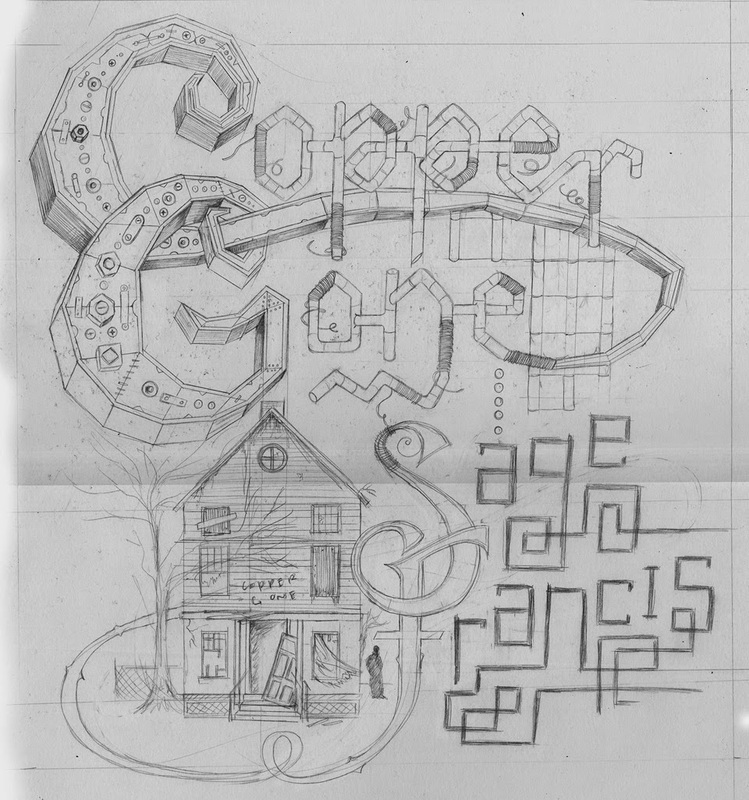 But I give my own impressions of the album in the blog called ‘Copper, Gone - straight from the heart valves and into your ears’. Let it just be said that if I ain’t feeling it, I ain’t drawing it. And my hands were sore. SORE.